Much of the finest jazz is performed as ballads, by instruments and voices played at audio levels just above a whisper; such is the case with this album. 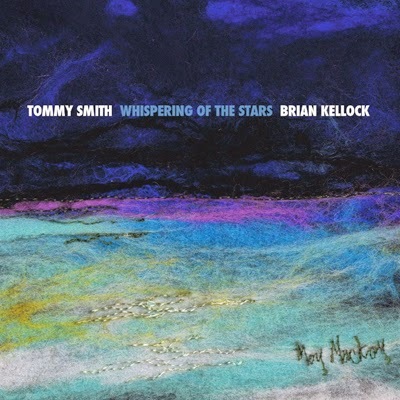 Tommy Smith (sax) and Brian Kellock (piano) are from Scotland, a country not well known on these shores for its jazz prowess. And yet Scotland has its icons just like many other countries, and these two artists have a world-wide reputation as masters of their instruments, and pioneers of overseas jazz. Indeed, many artists from the States are well aware of their excellence, and have worked with and raved about them. Smith’s stepfather, a rabid jazz fan, was instrumental in getting young Tommy started on sax when he was just 12 years old. His early years were spent playing with groups in Scotland, and then one of his teachers persuading him to attend Boston’s famed Berklee College of Music. Smith was only 18 when Chick Corea suggested that he join a group led by Berklee vice president Gary Burton; that unit toured the world, and just four years later Smith signed a contract with Blue Note Records. He recorded with many American stars from then on, and has a massive discography. Kellock, one of the UK’s premium pianists, also has worked with many famed American jazz artists. As would be expected, he and Smith also have worked and recorded together countless times. This album contains almost two dozen songs from Great American Songbook composers: Duke Ellington, Hoagy Carmichael, Vernon Duke, Harold Arlen, Burt Bacharach, Glenn Miller, Jimmy McHugh, Vincent Youmans, T. Monk and many others. If you grew up during the big band years, you grew up with this music. It’s beautifully done by two absolute masters. Smith’s work on both tenor and soprano sax is gorgeous; his tone is as clear and pure as I’ve ever heard. He plays softly and delicately, with little vibrato. Most important, no matter what the tempo — mostly ballads here — he plays true jazz. Kellock supports him beautifully, and his own solo work is superb. As a tight duo, their many years together are quite obvious. If you yearn to re-visit to the music of your youth, performed by two absolute masters, this disc must be added to your library.